That Gatling gun is called the T-FAG. I'm serious. 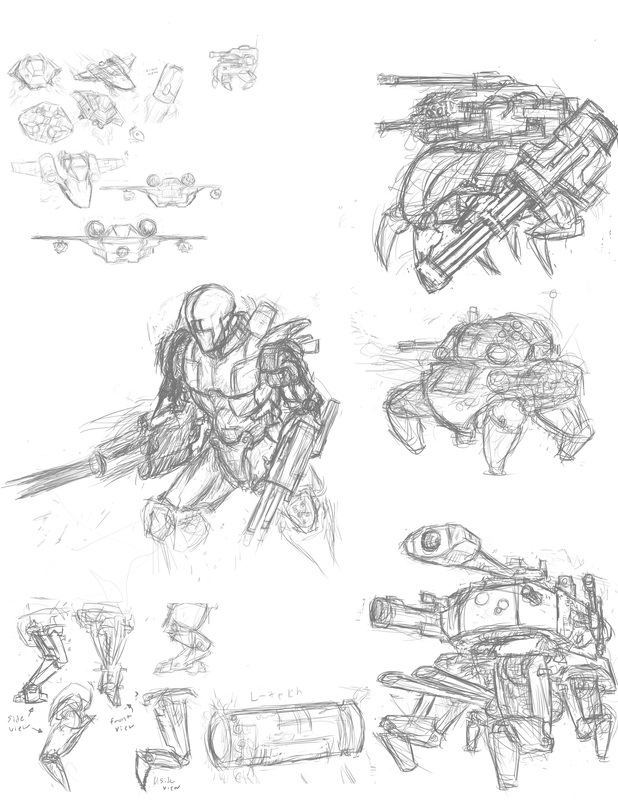 These are just some full sized sketches of robot and vehicle concepts that will appear in the first chapter. A lot of the “battle-bots” were basically built for war. The ones I have drawn are older models. The newer models are one men armies. Extremely fast and precise, and enough computer power to predict whatever is going to happen next on the battlefield. « Video games, not the problem.